God chose Israel to be a light to the Gentiles. Israel’s purpose would be to show people what God is like in His character and in His ways. The Lord has made known his power to save. He has shown the nations that he does what is right. have seen that our God has saved us. Be the reason for judging the nations (Joel 3:1-3; Zechariah 1:18-21; 12:1-4; Matthew 25:31-46). PRAY ISRAEL WILL BE OBEDIENT AND FULFILL ALL OF GOD’S PURPOSES. 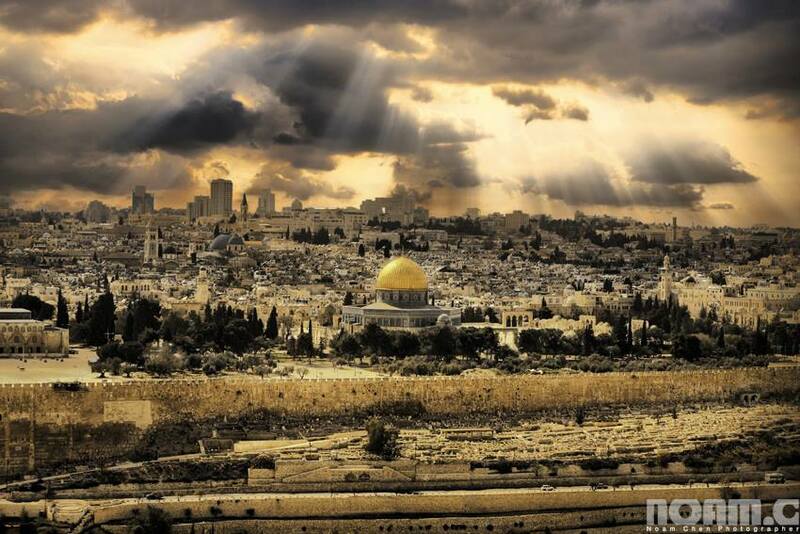 Sun over Jerusalem. Photo by Noam Chen. This entry was posted in Holidays, Purim - The Feast of Esther and tagged Psalm 98:2-3.